Drying ovens, soil and volume material A series of specialized drying ovens for samples of soil and other volume or mass materials. Drying, warming, cabinets GENLAB, Drying/Warming cabinets for a.o. glassware and instruments. Temperature till 50°C above ambient. Industrial ovens Ovens, large volume. For heavy industrial use. Standard range up to 10.000 liters, or according to customer specifications. 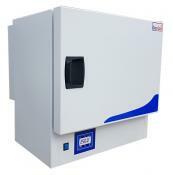 Laboratory incubators, table top GENLAB Incubators, temperature range selectable either till 70 or 100°C. Volume from 6 to 200 liter. Large volume, incubators The GENLAB Large Capacity Incubators. A unique range of versatile, highly efficient and reliable models. Large volume, ovens The GENLAB Large Capacity Multipurpose Ovens offer a unique range of highly efficient, reliable and accurate ovens. Moisture extraction ovens Moisture Extraction Ovens, for rapid drying and removal of excess moisture in your products or materials. 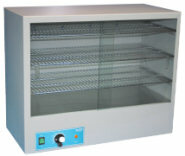 Oven, Incubator, combination GENLAB oven and incubator combinations. The advantage of two temperature ranges in one unit. 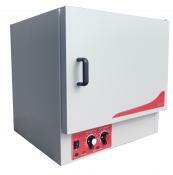 Ovens, table top GENLAB table top ovens, available temperature ranges till 250 or 300°C. Volumes from 6 to 200 liter. Sterilisers These sterilisation ovens meet the strict requirements for hot air sterilisation in laboratories and hospitals. Water baths The GENLAB, unstirred water baths. A low budget model range for general laboratory use.